Ahhhh, Paris 1975. "Franco assassin" spray painted on the plywood covering the broken windows on the Champs-Élysées. The riot police taking their positions each night, truncheons and shields. The Parisians gathering inside the cafes to watch. My friends and I standing in front of the buildings that had had their windows broken the night before, figuring the protestors wouldn't hit the same building twice if there was nothing to break. And then waiting, patiently waiting until we just got too bored and sleepy and headed back to our cheap flophouse around the corner. We'd never hear the riots, for some reason, because I heard the guy next door farting all night, but each morning we'd go back to the Champs-Élysées to see which businesses had been hit while we slept. There was always broken glass to walk around each morning. 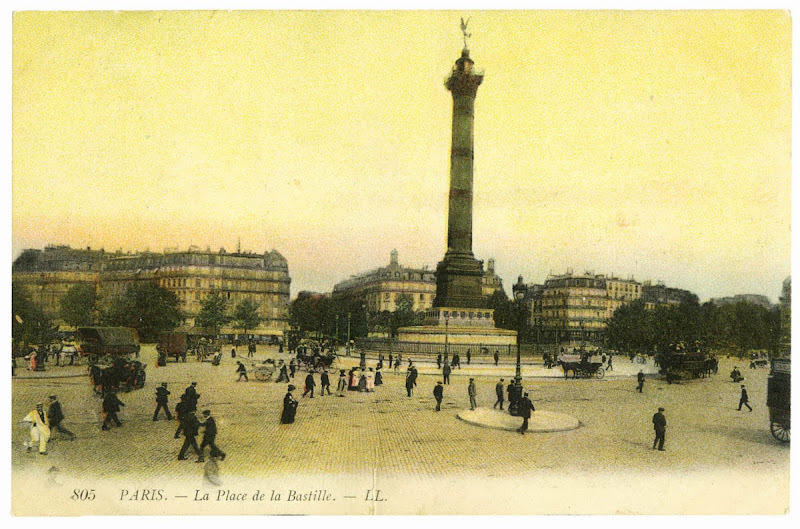 From what we understood the protestors would gather each night at the Place de la Bastille and head for the Champs-Élysées. I never saw any of it. I do however have photographs of the police and of the broken windows and graffitied plywood. Good times. Good times. That's the perspective of a stupid tourist in a place where they don't speak the language and you're in your twenties.